Foreign Relations Secretary Luis Videgaray said on Tuesday at an event in Miami that NAFTA has allowed Mexican industry to enter the U.S. market with lax rules of origin. MIAMI -- Mexico's foreign minister says the country is "inevitably" set to review rules of origin when renegotiating the North American Free Trade Agreement, giving a boost to President Donald Trump's manufacturing push. Foreign Relations Secretary Luis Videgaray said on Tuesday at an event in Miami that NAFTA has allowed Mexican industry to enter the U.S. market with lax rules of origin. The rules dictate how much U.S. content a product assembled in Mexico must have in order to escape tariffs when being imported into the United States. Currently set at 62.5 per cent for the auto industry, that number could increase. "One part that must inevitably be reviewed is the chapter on rules of origin," Videgaray said at the University of Miami. "Over time, the free trade agreement has sometimes been used, not always of course, but sometimes as a way to access the U.S. market perhaps with laxity in some ways of rules of origin." Videgaray's comments come just seven days after Eduardo Solis, president of Mexican automakers industry group AMIA, told Reuters rules of origin should not be touched. Solis told that news agency that rules of origin have been key in creating value and integrating the auto industry in North America. Canada's ambassador to the United States told Business News Network on May 20 that rules of origin for auto parts will be a focus of the NAFTA talks. “We need to figure out a way to update those without destroying the integrated supply chain that create jobs on whole in all three countries,” David MacNaughton said. The Trump administration told Congress earlier this month there would be 90 days of consultations on the renegotiation of the 23-year-old pact before beginning talks with Canada and Mexico. Annual trade of goods between Mexico and the United States was at US$525 billion in 2016, with the United States running a trade deficit of more than US$63 billion. The foreign minister said Mexico won't entertain any talks on building a wall along the border. 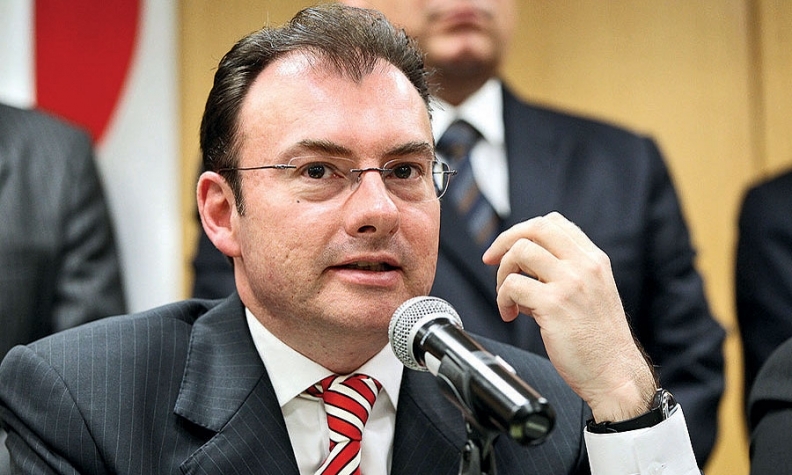 Videgaray maintained it is seen as an unfriendly sign and questioned its efficiency. Trump's budget seeks US$2.6 billion for border security technology, including money to design and build a wall along the southern border. Trump repeatedly promised voters during the campaign that Mexico would pay for a wall.